Email or call us if you want more information about puppies available from Joyslyn's Lhasa Apsos.joyslynslhasas@outlook.com or 309-837-1665. For more information about selecting a puppy and making a deposit, please visit our Frequently Asked Questions page. Puppies sold as pets are $900 (plus sales tax). Buyers must sign a contract agreeing to spay/neuter their pet puppy before she/he is 6 months old. Our litters are all registered with AKC; however, we do not provide a puppy's individual AKC registration paperwork to the new owners until we receive proof that the puppy has been spayed/neutered. Puppies sold as show prospects are $2000 plus sales tax. 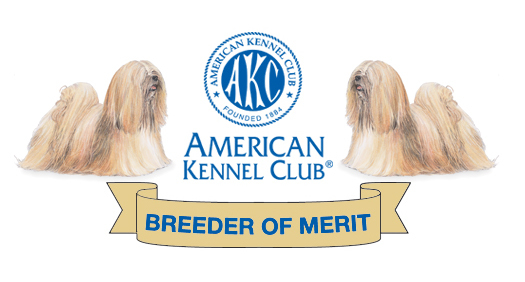 Please note that we expect our puppy buyers to register their puppies with AKC. If you are not interested in doing so, please do not inquire about one of our puppies. We do not ship our puppies. Buyers are expected to come here to pick up their puppy. On rare occasions I am able to deliver a puppy, but transportation costs are the responsibility of the buyer. We give a 2-year health guarantee as part of our sales agreement. If you are interested in buying one of our puppies, please read the agreement and health guarantee and be sure to ask questions if you have them. We occasionally have adults (usually females, ages 4-7 years) for adoption. Are you interested in seeing photos? 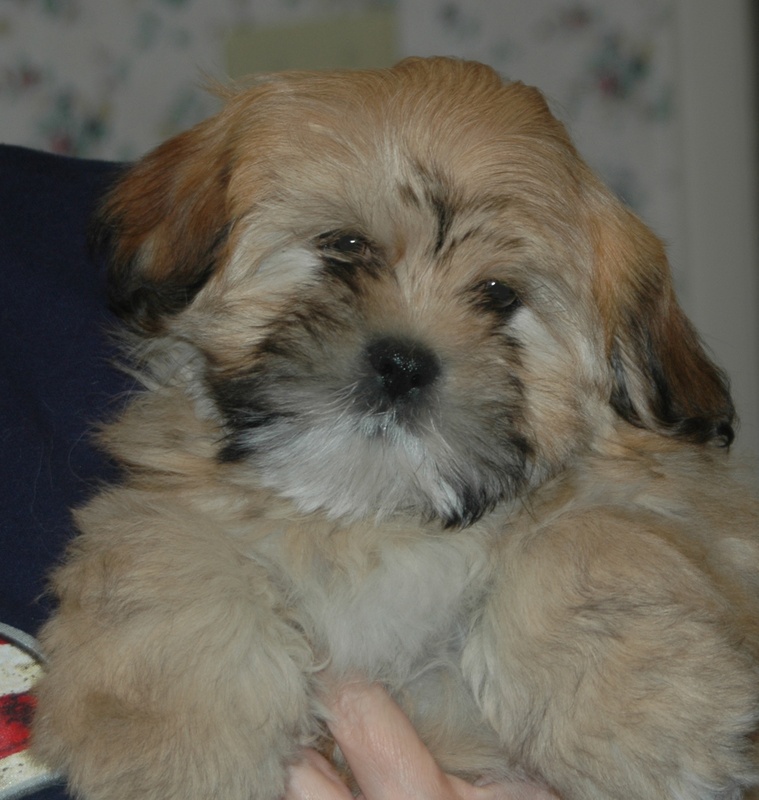 Click here for links to pictures and pedigrees of some of our present Lhasas. If you are waiting for a puppy, you'll find pictures of the sire and dam on this page. See pictures of Lhasa puppies from 1 week to 8 months old. You'll get an idea of how Lhasas grow and how quickly the coat grows. PLUS, you'll see some very cute Lhasa puppies! See a scrapbook of Joyslyn's Lhasas from 1973 to more recent times. This quick tour takes you through the years at Joyslyn's as you see some of our lovely Lhasa Apsos. You can bet we are proud of each and every one of them AND extremely grateful for the many blessings they've brought into our lives.